CSA Ocean Sciences Inc. (CSA) prepared a Comprehensive Range Management Plan (CRMP) and two Environmental Reviews (ERs) for the Atlantic Undersea Test and Evaluation Center (AUTEC) facilities, operations, and ranges under strict time schedules, which allowed the Navy to avoid losses of funding allocations. CSA received commendations from John Creswell (AUTEC Operations Manager) following approval of the documents by the Chief of Naval Operations (CNO). Elizabeth DeBlois (MESA Project Manager, Naval Undersea Warfare Center Division, Newport, Rhode Island) also complimented CSA for expeditious assistance and completion to obtain CNO acceptance. AUTEC facilities and operations are centered on Andros Island and in the Tongue of the Ocean (TOTO). The location is ideal for Navy anti-submarine warfare (ASW) and underwater Research Development Test and Evaluation (RDT&E) programs due to the unique cul-de-sac geography, bathymetry, clear water, low vessel traffic, minimal shipping noise, small swell, and slow currents. Facilities include deep-water ranges that support weapon and sensor system tests; Fleet training operations; and acoustic, oceanographic, and environmental programs. Operations include use of sonars, torpedoes, sonobuoys, autonomous underwater vehicles (AUVs), and other technologies in conjunction with various submarines, ships, and aircraft. CSA developed the CRMP with the purpose of designing the framework for environmental planning and cost-effective range management. Specific objectives accomplished included 1) providing guidelines for continuing and enhancing the core AUTEC mission of supporting Navy ASW and RDT&E training and readiness programs; 2) supporting existing and future environmental and resource management programs; 3) protecting the environment, particularly endangered and threatened species, corals, and unique natural resources; 4) increasing efficiency; and 5) reducing costs. CSA visited AUTEC on Andros Island and the mainland to conduct personal interviews, view affected areas, and collect pertinent operational, environmental, and socioeconomic information from files and records. CSA performed detailed reviews of land‑based facilities, air space management, communication frequencies, in-air tracking systems, in-water tracking systems, passive acoustic sensor arrays, AUV performance evaluations, and fleet training and readiness exercises. CSA summarized the AUTEC facilities, activities, OPAREAs, and client user base (e.g., U.S. Navy, U.S. Air Force, U.S. Army, Royal Navy, various other NATO members, and DOD weapons system contractors), including both present and projected uses through 2010. CSA’s first ER was centered on evaluating the CRMP for adoption. Six development/reconfiguration alternatives were analyzed for future development in terms of environmental impacts, costs, future cost‑effectiveness contributions, and meeting the AUTEC purpose and need. Significant attention was given to potential impacts and mitigation measures associated with sonar, laser tests, and other AUTEC operations relative to protected marine mammal and sea turtle takes. CSA also prepared another ER focusing on installation of a Multiplexed Extended Sensor Array (MESA) on the AUTEC ranges. The MESA consisted of a passive sensor array using fiber optic cables and multiple hydrophones on the TOTO bottom in 4,000 to 6,000 ft of water connected by a single cable passing through coral reef and other environmentally sensitive habitats to onshore AUTEC facilities. The ER addressed potential environmental impacts, focusing on those to marine mammals, sea turtles, other endangered species, coral reefs, and cultural resources. 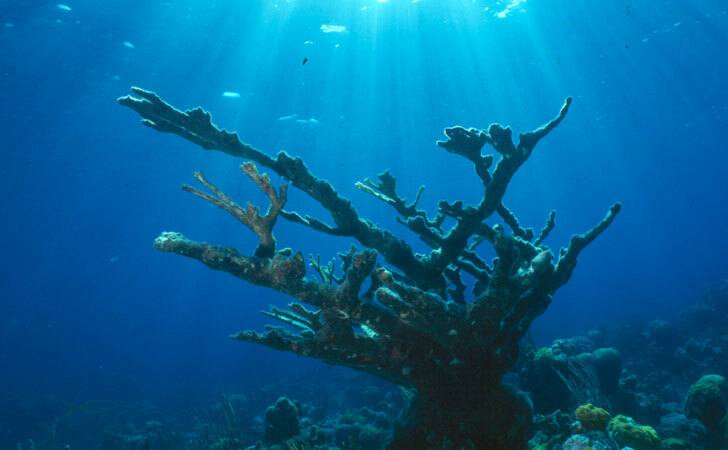 CSA developed the ERs in accordance with Executive Order 12114, Navy regulations (32 CFR 775), Agreement with the Bahamian Government Concerning Defense Facilities, Convention on Law of the Sea, Endangered Species Act, Marine Mammal Protection Act, and Marine Protection, Research, and Sanctuaries Act as well as other laws and regulations. CSA was responsible for printing and distributing the final CRMP and ERs.